It’s been over a week since my last blog, I never intended to go more than a week without posting but it’s been one VERY busy week! I am not complaining, it’s been ‘good’ busy but I have realised that maybe I should cut down on my Criminal Minds box set marathon and I may find more time! Still, we should all be able to enjoy guilt free TV marathons from time to time and be able to include these as part of our busy lifestyles. (I count mine as a hobby, that way at least I can say I have hobbies if i ever get asked). So, I have mentioned that I am trying to discover fitness and am also training for the Bupa 10k run for my Charity (Beating Bowel Cancer) which is in 2 months (eek!). I say ‘discover’ fitness and I suppose what I mean by that is discover it for me. Due to my Ulcerative Colitis, exercise was never a priority nor something that my body could really cope with. At the time, I used to feel guilty for not exercising, but I can look back now and wonder why I gave myself such a hard time when my body was trying to cope with such major trauma. If it hasn’t been illness it’s been operation recovery (there were two major ops in 18 months, one of which was emergency) which has held me back. Just under a year ago I was able to start exercising again and with no looming operations & no illness I knew there was nothing stopping me. I won’t tell you all about my year of exercise, well not in one post anyway, (unless you wish to drop off to sleep quickly?) 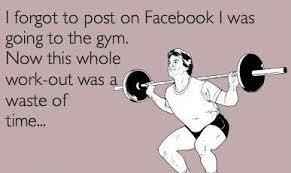 but in a nutshell, I joined a gym and also take classes. I desperately want to increase my core strength, as obviously, two major abdominal operations will weaken the area. Due to my stoma, I will always have a hole in my tummy which means that the area will always be weaker. Therefore, I am more prone to hernias, I definitely don’t want one of those so I wear a support belt, I don’t like wearing it but it is better than the possible alternative. But I can do all types of exercise, including core ones such as sit ups and planks, us ostomists can do everything non-ostomists can do, we just have to be a bit more aware and slightly more careful. The last two Monday’s I have taken part in a Legs, Bums & tums class, I am hoping the leg part will help with my running training too. It is run by Fitness with Naomi, and it is a pretty friendly class, everyone seems nice and we have a bit of a giggle at our sometimes lack of co-ordination! During warm ups I feel like I am keeping up quite well yet somehow I feel like an excited 5 year old jumping about the dance floor at a family party – I just don’t feel elegant at all! Still, who cares what I look like – at least I’m doing it, albeit a bit ungainly. So the exercise and the running training continues on and I shall update you on my progress along the way (if you feel like donating you can here; http://www.justgiving.com/Sherrill-Hawker). I haven’t just been watching Criminal Minds and being all ungainly in my fitness classes I have truly been busy. There was an overnight trip to Birmingham for work, I do love an overnight stay and a train journey. It may seem odd, but I quite like the ritual of it all and having a night to myself, and not having to suffer yet another football match is always a pleasure. I am an organised traveller, in fact I am the sort of person that means other people get to travel light as they know I will have all the necessities and more on my person – one never knows when a lime green highlighter and a currant bun will come in handy. The first time I stayed overnight anywhere after my op was 6 months after. In my previous job I had to go to Manchester for work, it was two nights stay and was probably the most nerve racking thing I had done in ages. But I packed enough spare stoma bags & supplies to last me a week and all was OK. Travelling with a stoma gets easier the more you do it, it’s just a case of increasing your confidence until it is totally natural again. There has also been a work related presentation to a group of Stoma Nurses, a trip round Medway Hospital to meet some Colorectal Nurses and the obligatory weekend festivities, the continuing fitness classes & runs, oh and not forgetting a bit of time for some Criminal Minds along the way! This entry was posted in Uncategorized and tagged exercise, fitness, Ostomy, Running, Stoma on March 24, 2014 by champagneshezza. It’s what I call fun. This entry was posted in Uncategorized on March 16, 2014 by champagneshezza. I have to start by saying I was completely overwhelmed by the response to my first blog. So many people shared it and there were so many lovely and supportive comments. It really means a lot and I do hope people continue to gain something positive from my posts. 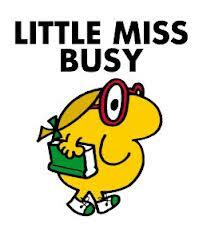 Back to the present day and it has been a busy weekend, a good one but a busy one. When I was ill with Ulcerative Colitis (UC) busy weekends would fill me with dread, I enjoyed being social but the thought of leaving the safety of my own home and the privacy of my own toilet would just send me into panic mode. It didn’t stop me having a social life, I wouldn’t let it, but secretly I would much rather have been curled up in bed, near my toilet and with a concoction of pain killers than out. Fast forward to the present day and having a social life is what it should be, fun, something to look forward to and one of life’s pleasures. Friday night we were round some friends to plan a future Come Dine With Me style competition, which also involves my sister and her boyfriend (plenty of room for some healthy sibling rivalry!). Saturday we were round some other friends for what was a very sophisticated dinner party. I may, however, have made it somewhat less sophisticated by consuming far too much champers! I have been wondering at what point, I grew up enough to take part in such civilized evenings – I don’t feel like I’m ‘there’ yet. Still it’s better than a couple of weeks ago when I was on a girl’s night out, and I left at 10pm because I was too drunk – we had only just got to the bar! So although I have a stoma, I am still able to drink and eat and go to dinner parties. In fact, all of that is easier now. We are told when we first get our Stomas to be careful about what we eat and drink and fizzy drinks in particular aren’t great because they can cause the bag to blow up because of excess gas (who said champagne was glamorous?!). However, I will not stop drinking my bubbles and actually find them no problem. I generally eat what I like too, but more of that in future posts. Socialising is much easier now too, as I don’t have to leave halfway through a conversation to spend 30 minutes in the toilet! So, I mentioned running in my title, now I am not a natural runner, I don’t even like it that much, it’s hard! But, I decided that I needed to challenge myself, you see I have never been able to do this, so I have no idea just what my body can achieve. I have always been too unwell or recovering from operations. As I work for a charity it seemed an ideal time to do something to raise money for them. So Mike and I have entered into the Bupa 10K for Beating Bowel Cancer. It is not until May 25, so I have plenty of training time. So I had a little lunchtime run today of 5K. I am managing 7 minutes per km, so I am quite pleased with that for now. 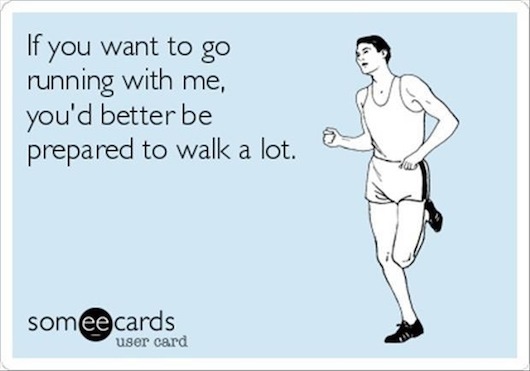 But I often feel like a slow runner, and by slow I mean, I am sure the person walking behind me will soon overtake me! I went for a run with Mike last year, it was just 2 miles, but we got back to the house, I was red, sweaty and puffed out, and Mike announced that he was “going for a run now”. Yep, definitely not a natural runner, but I am determined to give it a go. If you feel like sponsoring me then you can http://www.justgiving.com/Sherrill-Hawker or just keep following my blog and see me as I struggle to get up to 10K! This entry was posted in Uncategorized and tagged champagne, fitness, Lifestyle, Ostomy, Running, Stoma, Ulcerative Colitis on March 10, 2014 by champagneshezza. This is my first Blog – ever! I have said for ages now that I would do one, but somehow just never got around to it. So it’s now or never. What am I blogging about? Well a variety of topics, but mainly, life with an Ostomy. I will talk about everything from drinking champagne to getting fit, so it won’t revolve entirely around my Ostomy but will show how life goes on. So what is an Ostomy? I will go into more detail as the posts go on but basically an Ostomy is “an artificial opening in an organ of the body, created during an operation such as a colostomy, ileostomy, or gastrostomy; a stoma.” For me, I have an Ileostomy, which is where my small intestine has been brought through my stomach and the waste from it is collected in a stoma bag. Stoma comes from the Greek word for opening or mouth. It looks sore but actually has no nerve endings so is painless. There are around 100,000 people in the UK currently living with a stoma, it is relatively uncommon yet there are more of us than you would realise. I have mine as I has Ulcerative Colitis (UC). UC is a condition for which there is no cure and is a debilitating bowel disease. Sometimes it can be kept under control with medication but in my case, after years of suffering, there was no other choice but to remove my large bowel as it was perforating and therefore life threatening. I will elaborate on my story in later posts but for now will keep it brief and simple. So in August 2011 I awoke after emergency surgery to discover that I had stoma and bag attached to me and so my journey began. I intended to start blogging then, as I could talk about my recovery and my acceptance, but as I say I never got around to it! I am writing this blog as I want to help others who may be facing their own bowel surgery journey and are worried about what will happen to them or for those that live with a bag and struggle with it. But it is also to try and break down some of the taboos and stigma attached to stomas & bags and let people know that it is nothing to be ashamed of and nor does it mean your life will stop. I hope that I can inspire and help people. I won’t just be blogging about the stoma but life in general, for example, my love of champagne and my road to fitness. I will be honest & it will all be my own word and will be from the heart. I don’t claim to be a writer or a comedienne but I hope there will be humour and fun along the way. Hopefully, even those without a stoma can relate to some of my posts and those facing or living with a stoma will take inspiration. There is also another reason for me starting this blog, I work for a marvelous Bowel Cancer Charity, called Beating Bowel Cancer. I only started there last year, but it has really inspired me. I recently ‘came out’ by doing a presentation to the staff about living with a stoma, so now everyone knows there really is no excuse! So that’s me and my blog in a nutshell and now I have given you some history I look forward to telling some more stories! This entry was posted in Uncategorized on March 7, 2014 by champagneshezza.